Army has accepted an invitation into the 2018 Lockheed Martin Armed Forces Bowl! The Black Knights will take on the Houston Cougars! Don't miss out on this exciting matchup as Army seeks their third-consecutive bowl victory. Army West Point Athletics has announced that it has sold out of its initial ticket allotment for the upcoming Lockheed Martin Armed Forces Bowl. Fans still have the opportunity to give back to those serving our country by donating tickets for cadets or soldiers to attend the bowl game free of cost. Army is once again announcing a program where fans can donate tickets for cadets, soldiers and local non-profit organizations to attend the game. Select “ODIA– Army Football Ticket Fund” to donate. All donations are 100% tax-deductible. Passes to the official Army Bowl Tailgate prior to the game are available Tailgate alongside Army fans at the official tailgate outside the stadium! Package includes food, soft drinks and an available cash bar. LOCATION: Amon G. Carter Stadium - Fort Worth, Texas - Home of the TCU Horned Frogs. TICKET WINDOWS: Opens at 10:30am at Gate 6. FORT WORTH: The 16th-largest city in the United States and part of the No. 1 tourist destination in Texas, welcoming 8.8 million visitors annually. TOP DOWNTOWN: offers the No. 1 downtown in America and is located minutes from AT&T Stadium and DFW International Airport. STOCKYARDS: Explore the true American West in the Stockyards National Historic District. 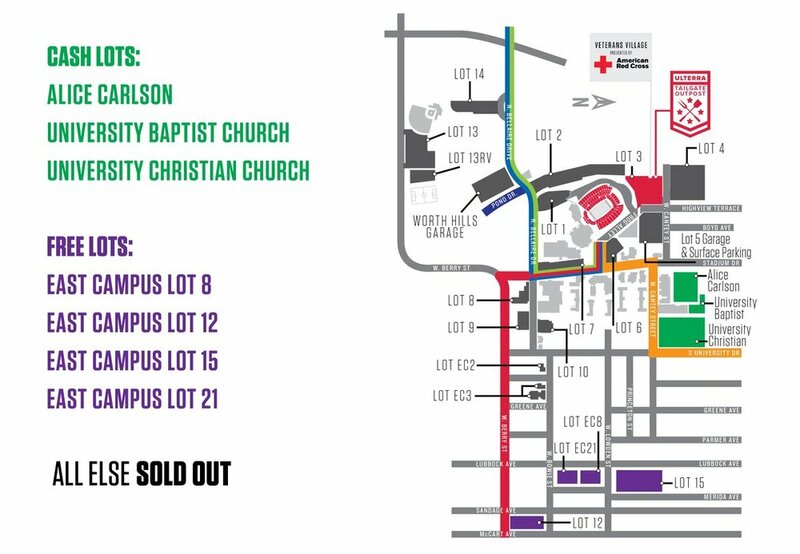 Tailgate Outpost Fanfest: Located in Lot 3, just north of Amon G. Carter Stadium. The Ulterra Tailgate Outpost is free to the public and will feature a full exhibition area that will include interactive displays, current and vintage military hardware, food trucks and more. Fun for all ages, the Tailgate Outpost will be highlighted with a pre-game concert along with pep rallies from both bowl teams. Official Army Bowl Tailgate: Army's Official Bowl Tailgate opens for Army fans who have pre-purchased passes. The tailgate features food, soft drinks, and includes a cash bar. Stay tuned for additional details. Kickoff: Don't be late! Arrive to your seats early to see the all-veteran parachute team, flyover, team band performances and the national anthem. Kickoff for the 2018 Lockheed Martin Armed Forces Bowl is set for 2:30PM (CT). The game will feature armed forces branch tributes, the Great American Patriot Award presentation, Purple Heart Warrior Tribute, Trophy Presentation, and great football. The game will conclude with fireworks.